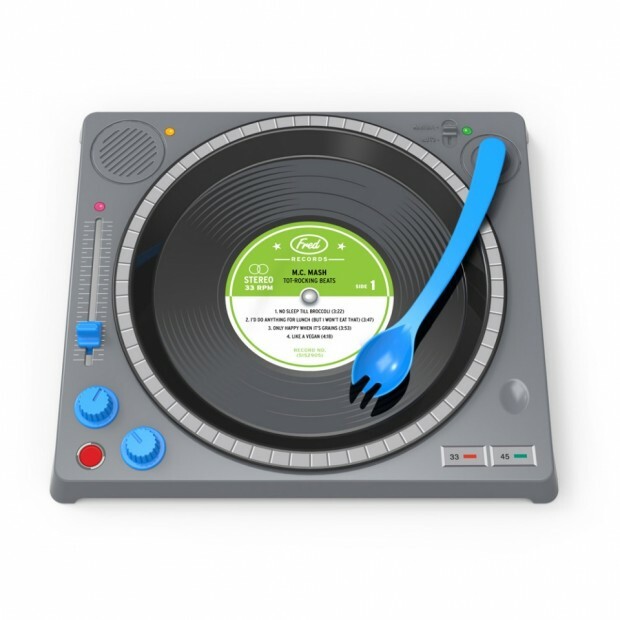 Dinner DJ Turntable Plate: Stop Scratching at Your Food, Kids! It’s tough getting small kids to eat sometimes, but if you serve up their food on this awesome DJ dinner set they’ll scarf it all down in no time while pretending they are laying down some fresh beats. That is, assuming they know what a record player is. 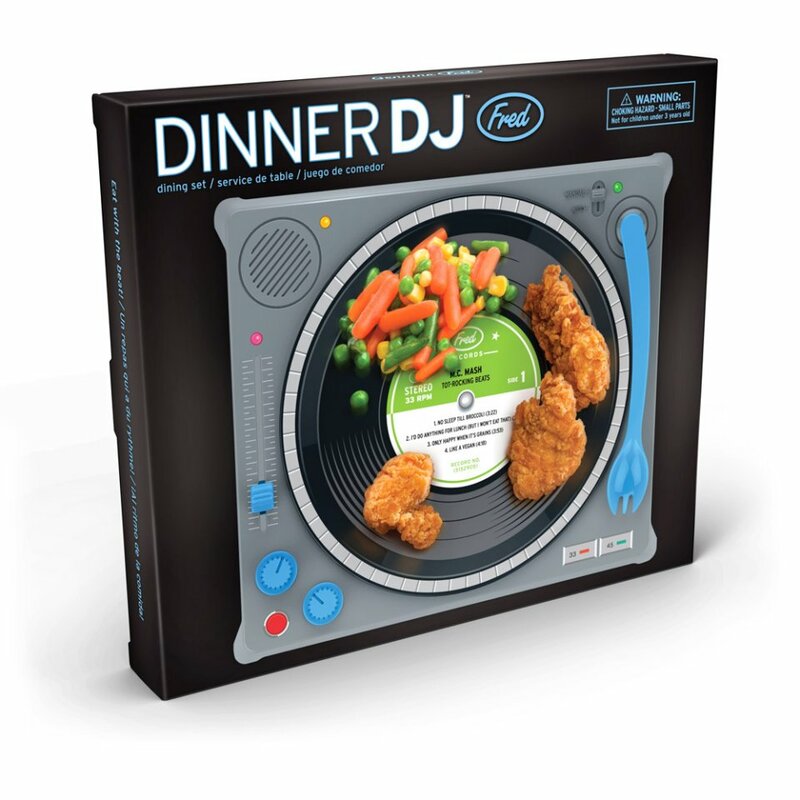 Dinner DJ is an interactive melamine dinner set for kids that looks like a turntable with a spinning record plate, tonearm eating utensil, and adjustable knobs. 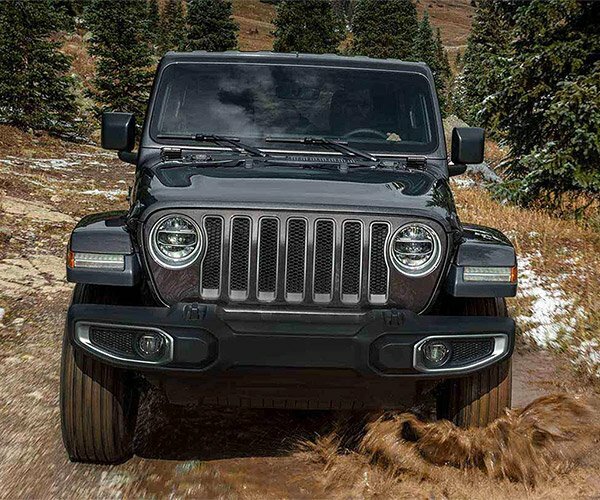 It doesn’t say how fast the plate can spin, but I doubt you’ll have to worry about mashed potatoes flying everywhere. 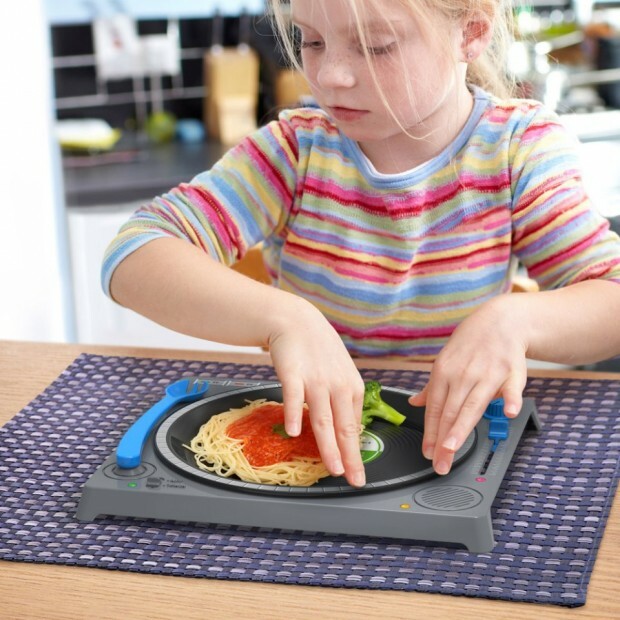 Kids will have a lot of fun just trying to get their food from a spinning surface alone. The Dinner DJ is available for pre-order at Fred & Friends for $28(USD). This should definitely keep your rugrats fed and happy.